If you are reading this, it’s a good bet that your wedding day is now on the horizon, maybe even fast approaching – and fast in a wedding planning context brings a whole new meaning to the word am I right? As the old saying goes, time flies when you’re having fun! We won’t talk about the day itself – it can really get away from you as there is just SO MUCH GOING ON! There’s a LOT to organise we know, and you probably will start feeling the pain of an event manager if you are in DIY wedding mode. Unfortunately, this post might just add another thing to that never-ending list you’ve been mentally carting around for some time… but then, we are also giving you the solution so it’s totally safe to read on! You may have planned your reception, chosen food for your guests and thought you were done. But… have you planned your day with your entourage? 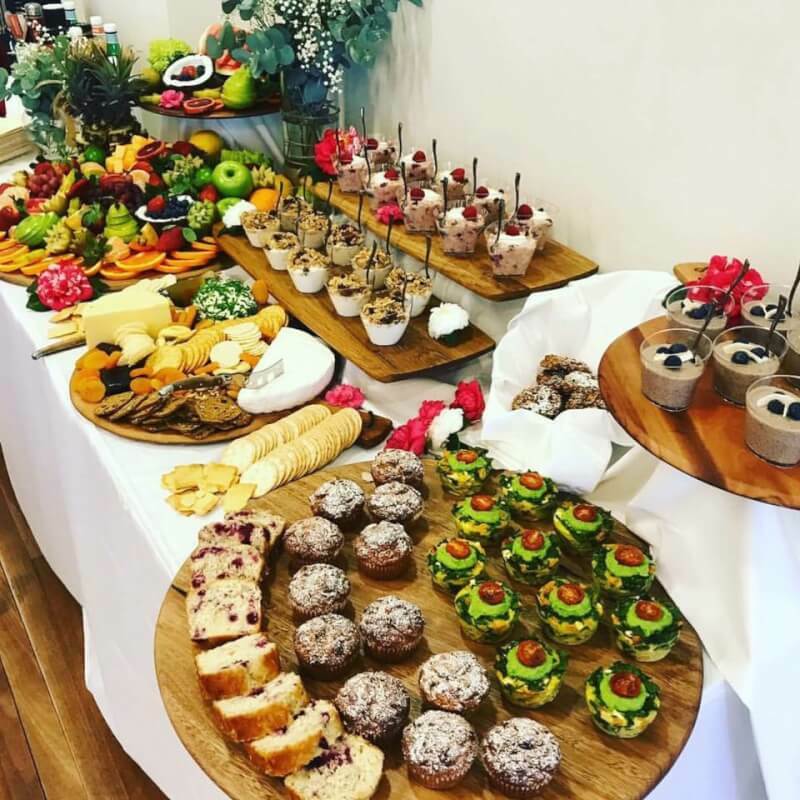 – forget the guests, you guys are the VIP’s and you simply can’t get around without some yummy nibbles at the very least throughout the course of the day! Picture this, early morning – hair & makeup central… knock on the door – what’s this? A gourmet breakfast freshly prepared and delivered, ready for the bridal party to inhale! Maybe not Breakfast – it could be Brunch or if a late ceremony, Lunch? There’s so much happening in the lead up to the service, there’s no need to have your Mum or anyone for that matter stuck in the kitchen making snacks, you can all simply relax and concentrate on hair and makeup. Our Grazing tables and boards are also a popular item for guests to while away the time between the ceremony & reception if you are “on location”. 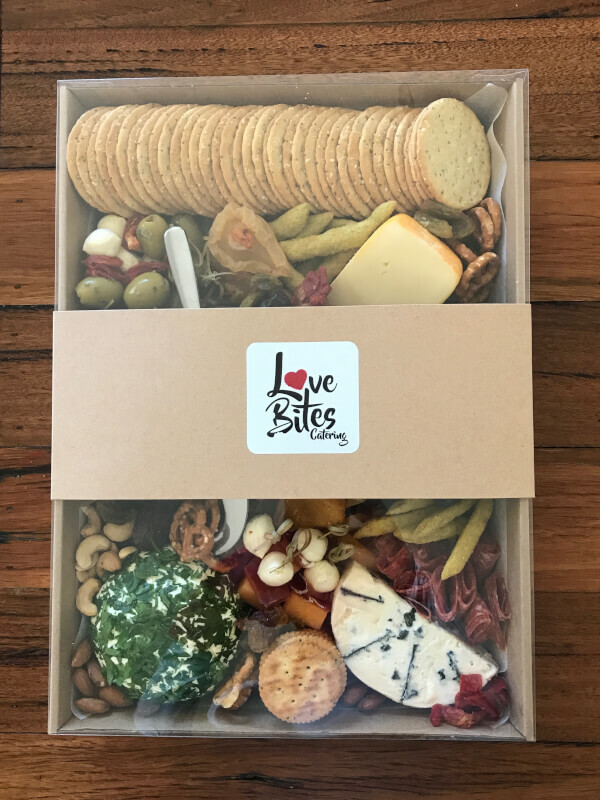 Beautifully styled with delicious nibbles they are a great addition to the day and can include drinks – both non and alcoholic. p.s. Don’t forget your bridal shower… a High Tea or Grazing Table make for perfect girlie gatherings!